1) Please tell us a little bit about yourself, Marc Hagan-Guirey? All in all I’m a bit of a nerd. I love 80s toys, LEGO, horror, fantasy, and of course; Star Wars! 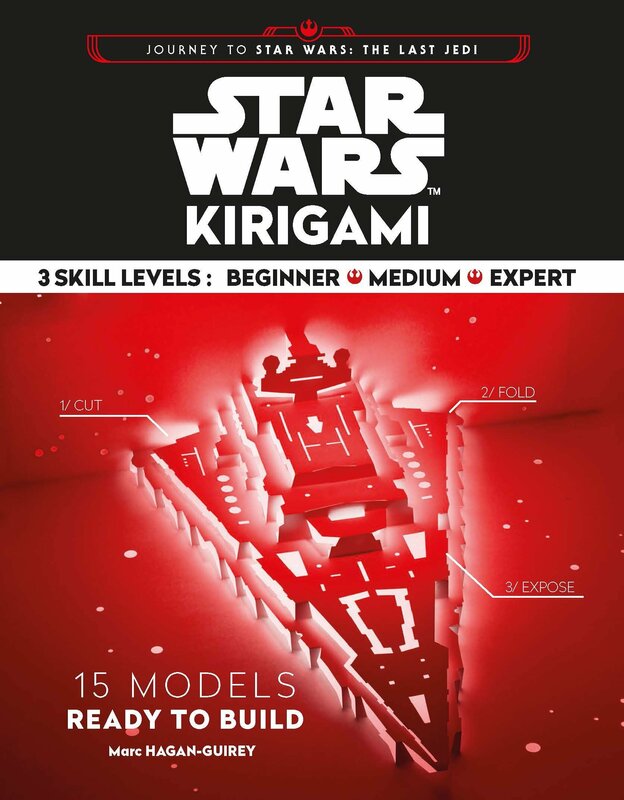 As a matter a fact, I’ve just had my third book published by Chronicle Books, 'Star Wars Kirigami’, which contains 15 templates to cut and fold into iconic ships from the saga. Creating has always been part of my DNA! Even as a kid my currency was egg cartons and toilet roll tubes. My mum used to get quite cross when she'd find the side of a cereal box cut out for the purpose of creating a new fortress for Skeletor. She eventually invested in a lot of tupperware. My ‘grown-up’ job is as a Design Director in digital media, and a few years back I had a yearning to start making stuff with my hands again. 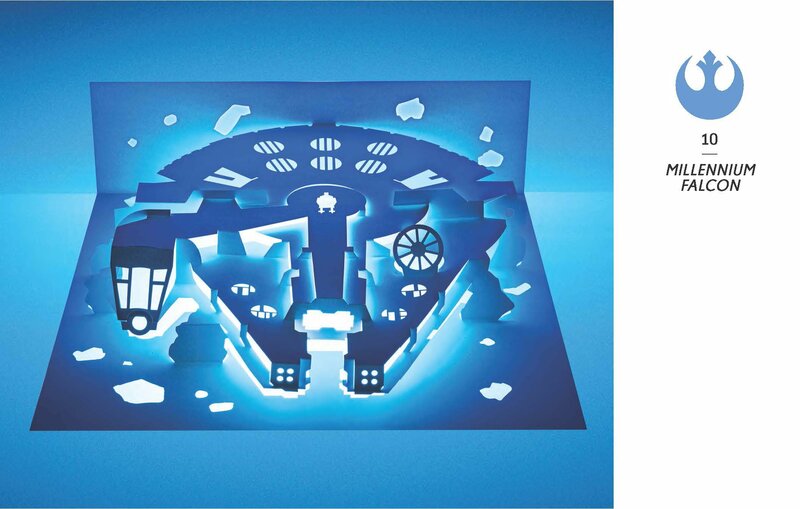 2) What first got you into Kirigami? It was a bit of a serendipitous moment that led to me experimenting with kirigami. I’m a big fan of the American architect, Frank Lloyd Wright, and back in 2012 my partner and I told a few white lies to get a private tour of one of his most elusive buildings: The Ennis House located in Los Angeles. It was a condemned building and had been out of bounds to the public for over 20 years, so we may have told them we had the $14 million needed to buy it and were very keen to come and see it. That aside, the experience had a huge impact on me, and I’d go as far as to say it was spiritual. I wanted to mark the occasion by making some sort of memento, and felt that paper was a perfect material to make a replica of the Ennis House due to it’s fragility. 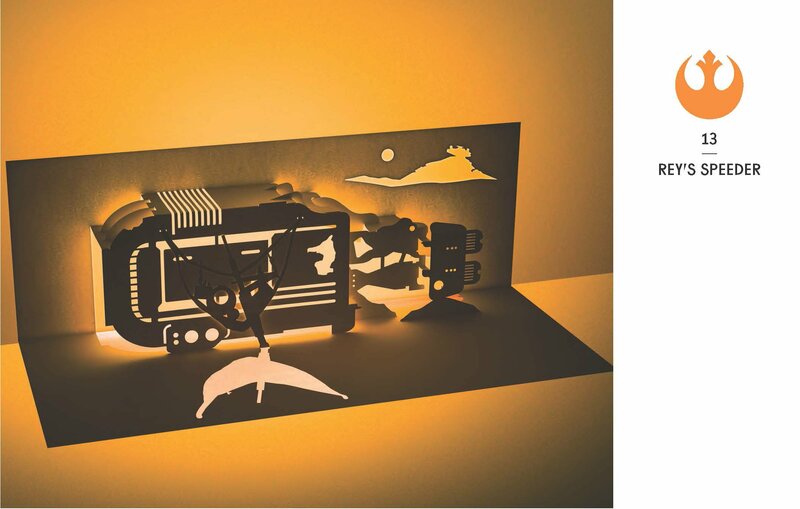 I quickly saw that kirigami wasn’t just limited to buildings and I started making scenes from movies. 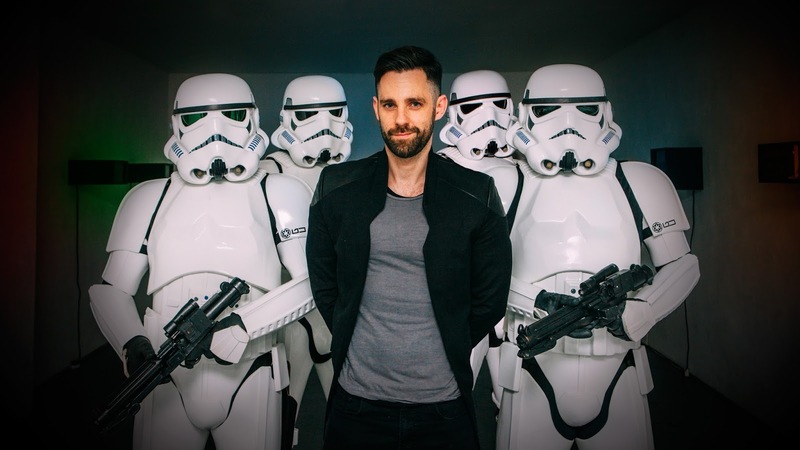 A few zeitgeist moments meant that the exhibitions I was producing gathered a lot of media attention which led to a publishing deal, and eventually the chance to work with Lucasfilm. 3) What made you decide on which models to include in your Kirigami themed Star Wars book, and which is your favorite one? I wanted to make sure all the major iconic ships were in there. There were a few that didn’t really translate all that well to paper so they got bumped off the list. There’s only one that I would have loved to have seen in the book, which was the 'First Order Transporter', but between the editor and I we decided to go with the SF TIE fighter instead. 4) What’s your favorite episode of Star Wars and why? Can I say 'The Last Jedi' yet? Seriously though, I’m two thirds ‘The Empire Strikes Back’ and one third 'The Force Awakens’. 5) If you could get a celebrity – either living or dead – to promote your wares, who would you choose, and why would you want to choose this particular person? 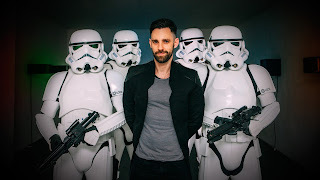 It would be pretty cool if Rian Johnson got onboard! After all, the book is part of the ‘Journey to The Last Jedi’ series, and he does seem like a really nice chap. 6) During your time in this field, what is the one thing that has kept you in good stead? Simply that I get a lot of joy from creating kirigami models. Even if I didn’t have publishing deals or have commissioned work, I’d still be crafting. All the stuff around it is a thankful bonus. 7) If you had a personal motto, what would it be? I do have one! It’s simply: “If you don’t ask, you don’t get.” The opportunity to create this book came from a lot of emailing and knocking on doors. You really need to push sometimes to get a response, and you have to assume that people are incredibly busy so make sure you stay on their radar (without being irritating). Star Wars Kirigami (Chronicle Books) is now available via the Abrams And Chronicle website plus all authorized retailers. Priced at £21.99 it's definitely worth a look, especially if you're into arts and crafts as well as Star Wars. Now for any more information please feel free to check out Marc's official website, twitter, and facebook pages.